7:00 – 9:00 PM. 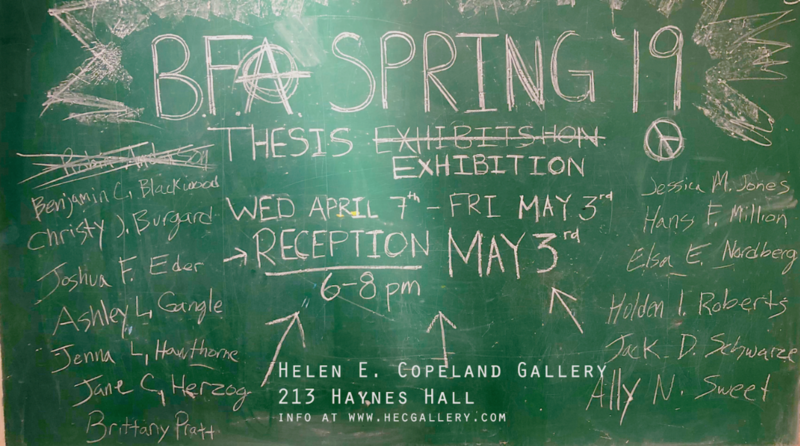 The Helen E. Copeland Gallery is located within The School of Art’s Haynes Hall, on the second floor. “Passages (is this a love letter or a suicide note? )” was created in response to a Rockefeller Foundation residency in Bellagio, Italy which was taken in collaboration with Robert Arnold, Director of the School of Film and Photography. At Bellagio the artists worked together to create a bank of images with the intention of developing separate but linked responses to this unique place. This two channel video installation interweaves thousands of still photographs, video and timelapse photography to take the viewer on a choreographed journey through the labyrinthine gardens and ruins of Villa Serbelloni on Lake Como. Mortimer’s diary became the narrative base of the work, it is a confessional and intimate essay referencing Calvino, Borges, Mann and Twain whilst recording a personal response to the isolation and beauty of this place. The passage of time, light, and people is central to Passages, where location and landscape become devices to explore duality, enclosure and isolation – both as physical and psychological states. Intersecting paths open out into seemingly impossible locations, mysterious doors set into the rock reveal secret passageways, and as the cicadas call, a sense of languor gives way to obsession and an unraveling of sanity. 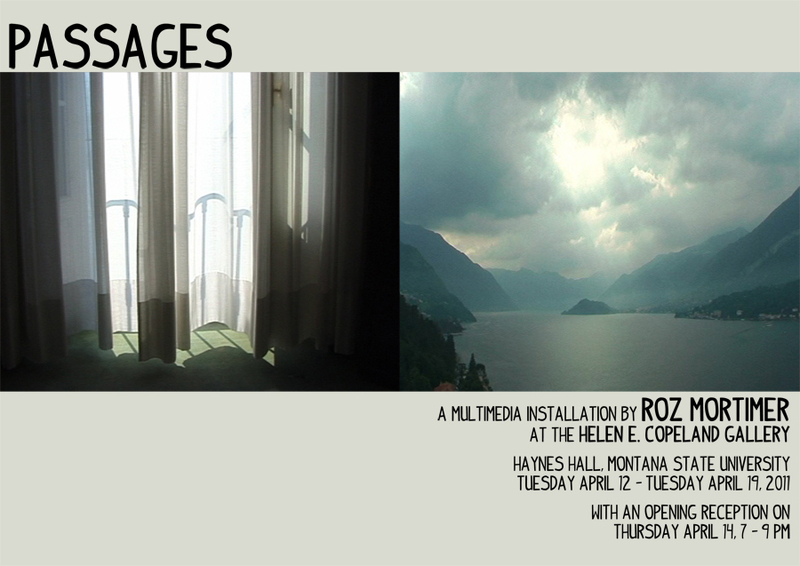 Passages was funded by the Rockefeller Foundation, Arts Council England and Film London Artists Moving Image Network. Roz Mortimer is an artist and filmmaker who lives and works in London, UK. She is currently Visiting Professor in the School of Film and Photography at MSU. Her work has been widely shown around the world in galleries, cinemas, at film festivals and on television and has been supported by Arts Council England, Wellcome Trust, Rockefeller Foundation, British Council, Film London, LFVDA, LAFVA, Eastern Arts and Channel 4 Television. Her work is focused on expanded and experimental forms of documentary across a range of media; from film and video to photography, sound, installation and performance. Earlier works unpicked notions of Englishness, whereas more recent films have focused on specific global locations from the High Arctic to the Italian Lakes, creating layered and thought provoking portraits which blur the boundaries between staged theater and documentary and raise questions about the relationship between fact and fiction. Next postAnna Bak – Ah, Wilderness!